January 7, 2015 - Burbank, CA - Citizens of Z Nation, rejoice! Season 1 of Syfy’s hit show comes to Netflix on Friday, January 9th. All 13 episodes of the first season will be available at midnight. The series revolves around a group of survivors three years after the devastating ZN1 virus has gutted the country, when a team of everyday heroes must transport the only known survivor of a zombie attack--and humanity’s last hope of developing a vaccine--from New York to California. 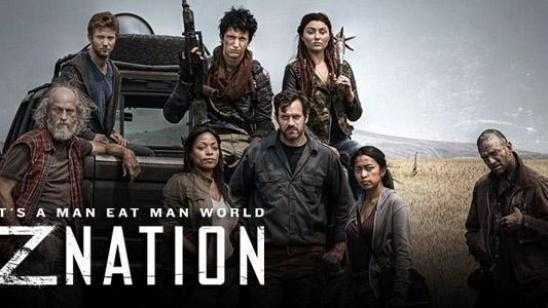 Z Nation launched as Syfy’s highest-rated acquired scripted series premiere since Dr. Who in 2006 and was the network’s most social acquisition ever. The pilot, "Puppies and Kittens," won the 10pm timeslot for Syfy, outperforming AMC’s Turn and Halt and Catch Fire as well as TNT’s Legends, WGNA’s Salem, and Outlander on Starz. The second episode drew more viewers than the first in both the US and Canada (where it airs on Space), and the show drew high viewerships and young-skewing audiences throughout its first season, hitting a season high in the adults 18-49 demographic during the eleventh episode. Z Nation has been renewed for a second season, which is set to premiere in fall 2015. Mega-fans should also keep the DVD in mind: Season 1, available from Universal Home Entertainment February 10th, contains bonus features and exclusive content that won’t be on Netflix or anywhere else. 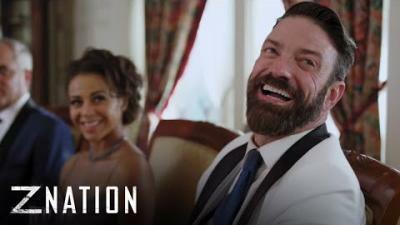 Z Nation airs on Syfy. Starring DJ Qualls (LOST, SMALLVILLE), Kellita Smith (THE BERNIE MAC SHOW), Nat Zang, Pisay Pao, and Keith Allan. Created by Karl Schaefer (EUREKA, EERIE INDIANA) and Craig Engler. Official Synopsis: Three years after the zombie virus has gutted the country, a team of everyday heroes must transport the only known survivor of the plague from New York to California, where the last functioning viral lab waits for his blood.